I have been asked for a long time to make an audio or video version of my blog's main content. Since I am still a bit uncomfortable in front of the camera, I have decided to go the route of a podcast. 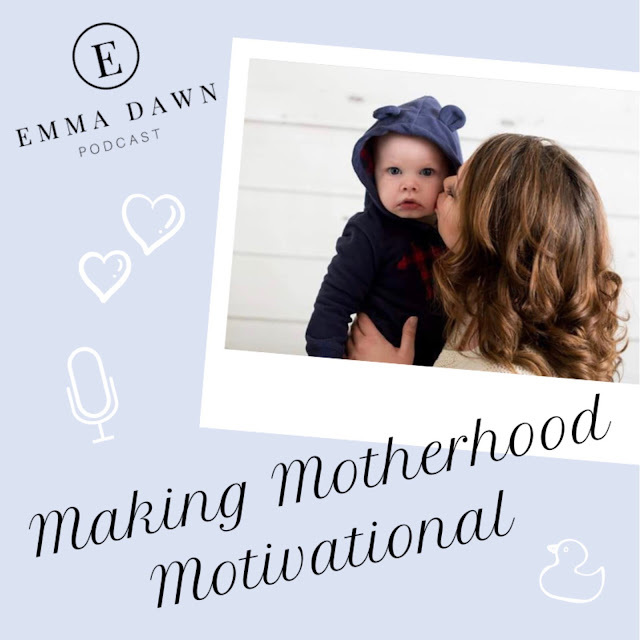 You can find the Emma Dawn podcast on Castbox or wherever you get your favorite podcasts. I am so excited to bring thoughtful and motivational content to you every Monday morning. To get your week started off right! We are blessed to be living in an age to have the ability, open mindedness, and technology to make life flexible and fulfilling. Even though at times this day in age can be quite a blunder. Every rose has it's thorn I suppose. There is still so much good coming out of the generation of creative thinkers. #Momlife is hard and anyone who says otherwise is frankly just a liar. Join me every Monday Morning for a quick 5 -10 minute Motivational Moment! Grab a tea or morning cup of java and enjoy a short amount of time just for yourself. From motherhood to lifestyle to entrepreneurship this is a resource almost any mom out there can appreciate. I am also designing this for you so don’t be afraid to get involved! I love that my blog has granted me to ability to connect with inspirational woman from all around the world. If you have a topic idea you would like me to cover on the show leave a comment down below! If you would like to be featured and submit an audio clip with content that fits among the theme of the show and a short bio about yourself then send an email to emmmadawn@gmail.com. Make sure you don't miss an episode and subscribe to my podcast on Castbox, Youtube, and coming soon to Apple Podcasts. You can download your favorite episodes to listen to again and again.